Senior staff details at Ulster University including profile information and overview of portfolios. The Vice Chancellor is supported by a team of senior leaders in the delivery of the Five & Fifty strategic plan. The team sets direction and strategy and leads implementation across academic excellence in research, teaching and student experience, local civic leadership and international engagement, as well as the essential professional services required to support the delivery of the University's academic mission. Professor Paddy Nixon joined Ulster University as Vice Chancellor and President in July 2015. He leads the overall strategic vision, direction and growth of the University, across core academic delivery and the professional services that enable academic excellence and innovation to flourish. Professor Adair provides strategic and academic governance. He has direct line management and leadership responsibility for Executive Deans and oversees business performance and sustainability of the University's faculties. He also has direct line management responsibility for the University’s Provosts, providing leadership in civic and societal engagement. 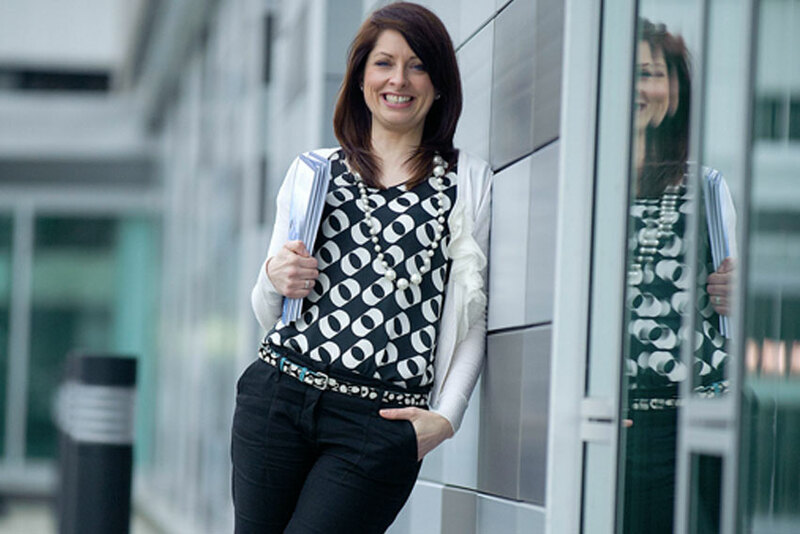 Cathy is responsible for developing and leading our research and impact strategies as a research led university, ensuring that Ulster University achieves its research targets, and that our research informs our teaching and benefits society locally and globally. Paul is responsible for leading, developing and overseeing the University’s strategies relating to the Education portfolio, including innovative approaches and new initiatives in educational opportunity, standards and development of taught programmes and a rewarding student learning experience. Ian supports our global potential and ambitions by leading strategies in relation to global engagement, partnerships, collaborations and international recruitment potential. Niamh is responsible for delivering the core professional services including Human Resources, Physical Resources, Finance, Information Services and Brand and Communications. She joined Ulster University from Falmouth Exeter Plus (FX Plus) where she was CEO and Director. Eamon leads the team responsible for ensuring that the University’s governance processes are robust, efficient and fit for practice. He ensures that the University complies with its statutory obligations and provides interpretation and legal advice to Council and the Senior Leadership Team. He is also responsible for providing a secretarial service to Council and its committees. Professor Paddy Nixon joined Ulster University as Vice Chancellor and President in July 2015. He leads the overall strategic vision, direction and growth of the University, across core academic delivery and the professional services that enable academic excellence and innovation to flourish. A computer scientist by discipline, he retains a keen interest in his subject, supervising two Phd students in their early research careers. He embarked upon the development of his Five & Fifty Strategic plan during his first year in office. Delivered in October 2016, the Five & Fifty defines an ambitious roadmap for the five years to 2021 and a dynamic vision that will take the University to its fiftieth anniversary in 2034. Professor Nixon’s commitment to civic engagement, responsibility and leadership defines a vision for Ulster University that is grounded within its community, with academic excellence at its heart, transforming academic theory and expertise into meaningful social, cultural and economic impact, as Northern Ireland’s civic university. 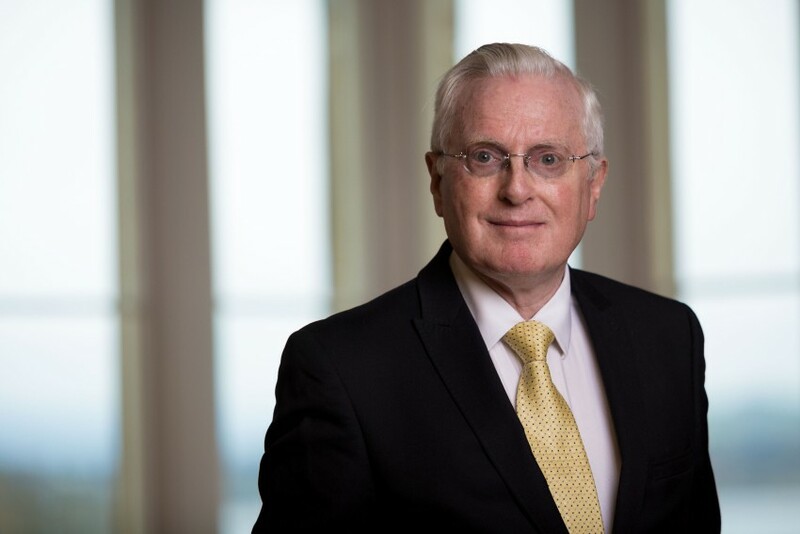 Professor Nixon joined Ulster University from the University of Tasmania where he was Deputy Vice-Chancellor (Research) – responsible for driving the research agenda, through both existing and newly formed research institutes. He has extensive industry and commercial experience, particularly in collaborations with global high tech firms. He was previously Science Foundation Ireland Research Professor in Distributed Systems at University College Dublin (UCD), where he was Vice Principal (Deputy Dean) of the Faculty of Engineering, Mathematics and Physical Sciences. From 2007 – 2010 he was Academic Director of INTEL's Independent Living and Digital Health, leading a team of 150 clinicians, researchers and engineers. While at UCD Professor Nixon led the establishment the UCD Complex and Adaptive Systems Institute (CASL) focused on the inter-disciplinary research at the intersection of mathematics, computation and scientific discovery bringing together over 250 researchers to lead national programmes in Bioinformatics, Computational Finance and Network Science. In addition to his time at UCD he has held academic positions at the University of Strathclyde , Trinity College Dublin and at Manchester Metropolitan University . His significant industrial and commercial experience includes collaborations with INTEL, Microsoft Research, HP, Oracle and IBM. He holds a B.Sc. (Hons) in Computer Science, an M.A. and a Ph.D. in Computer Engineering. 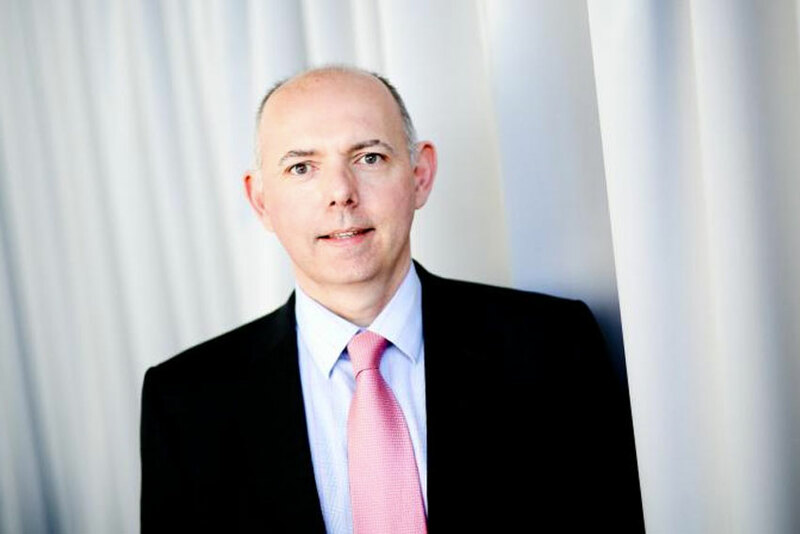 Professor Alastair Adair is the Deputy Vice-Chancellor for Ulster University. As a key member of the senior leadership team Professor Adair provides strategic and academic governance. He has direct line management and leadership responsibility for Executive Deans and oversees business performance and sustainability of the University's faculties. He also has direct line management responsibility for the University’s Provosts, providing leadership in civic and societal engagement. Previously Professor Adair served as Pro-Vice-Chancellor and Provost of the Belfast and Jordanstown campuses, Dean of the Faculty of Art, Design and the Built Environment and Head of the School of the Built Environment at Ulster. He is also Professor of Property Investment and a researcher, with research interests comprising the financing of infrastructure and regeneration, and property market performance. He is a Fellow of the Royal Institution of Chartered Surveyors, an Honorary Fellow of the European Real Estate Society, of which he was Founding Vice President; and is an Honorary member of the Royal Society of Ulster Architects. He was appointed CBE in 2014 for services to Higher Education in Northern Ireland and in 2016 was appointed a Deputy Lieutenant for the County Borough of Belfast. She is a Professor of Politics with research interests in the areas of political elites, peace processes, the politics of divided societies, public policy and governance. Until 2016 she was based in the School of Criminology, Politics & Social Policy at Ulster where she was also Director of the Institute for Research in Social Sciences (IRiSS) from 2010-16. She is a regular political commentator for the BBC on both television and radio and has recently completed making a new radio programme for BBC World Service on Walls and Peace. Cathy holds a first class honours degree in politics from Queen’s University, Belfast and an MPhil in Modern Middle East Studies with Arabic from Oxford University before becoming a UK Kennedy Scholar in the J.F.K. School of Government and Public Policy at Harvard University, USA. She also holds a PhD in History and International Affairs from Ulster University. She is a Fellow of the Higher Education Academy and the winner of the UK Political Studies Association’s Bernard Crick Award for Outstanding Teaching in 2007. She has been elected and/or appointed to a number of national boards including the National Executive Committee of the UK’s Political Studies Association (PSA) from 2012-16 and is also a member of the UK’s Kennedy Scholars Association. 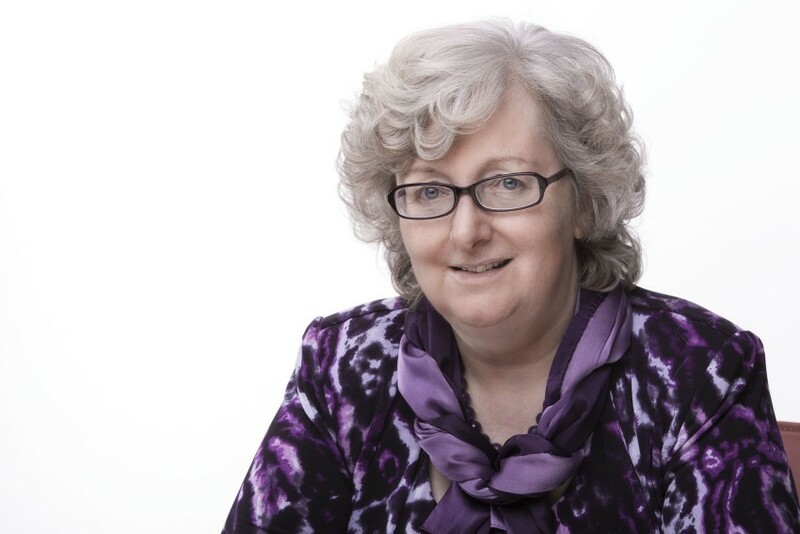 Currently, Cathy serves on the boards of Matrix, the Northern Ireland Science Industry Panel; Catalyst Inc (formerly the Northern Ireland Science Park); and the UK government’s advisory body on EU Exit, Universities, Research and Innovation chaired by universities and science minister Jo Johnson, among other things. Professor Paul Bartholomew is the PVC Education. As a key member of the leadership team at Ulster University, Paul is responsible for leading, developing and overseeing the University’s strategies relating to the Education portfolio, including innovative approaches to teaching, new initiatives in educational opportunity, standards and development of taught programmes and a rewarding student learning experience. Paul had a clinical career in the NHS as a diagnostic radiographer before moving into higher education in 2001. Since then he has led on various aspects of learning and teaching and the enhancement of academic quality for the universities within which he has worked. Paul is a Principal Fellow of the Higher Education Academy and a National Teaching Fellow. His academic interests include curriculum design, programme approval, technology enhanced learning, student engagement and all aspects of academic professional development. His research interests have been centred on video-based discourse analysis, computer supported collaborative learning and academic professionalism. Paul is a Director of the Institute for Learning in Higher Education (LiHE) and an editor for the twice-yearly anthologies. Paul also sits on a number of national groups coordinated by the Higher Education Academy and Jisc. He is a 2016/17 TEF Panelist. Professor Ian Montgomery is the PVC for Global Engagement. In support of our global potential and ambitions, Ian leads strategies in relation to global engagement, partnerships, collaborations and international recruitment potential. He has been Dean of Ulster University’s Faculty of Art, Design and the Built Environment since summer 2008. He was previously Head of the School of Art and Design and Director of the Research Institute for Art and Design at Ulster University. His main research interests are in the areas of design theory, knowledge transfer, and design perception. Ian obtained his first degree in 1988, began his academic career in 1991 following a period in industry and was awarded his PhD in 2000. Ian has completed two terms on the Board of the Arts Council of Northern Ireland since 2007. He was a Management Board member of the Higher Education Academy’s Art Design and Media Subject Centre and was a member of the Executive Committee of the Council for Higher Education in Art and Design (CHEAD). He is a Fellow of the Royal Society of Arts, a member of the International Society of Typographic Designers and the Design Research Society. Ian has examined and chaired validation panels in the UK, Ireland and Europe and has established numerous international academic partnerships in the US, the Middle East, China, Hong Kong and Europe. He is on the Editorial Boards of ITERATIONS Design Journal (Ireland) and City Street Conference (Lebanon). Ian chaired the Academic Services Review Group established this year to undertake a timely review of academic structures in support of the new strategic plan and the University’s future ambitions. Niamh Lamond is the University's Chief Operating Officer. 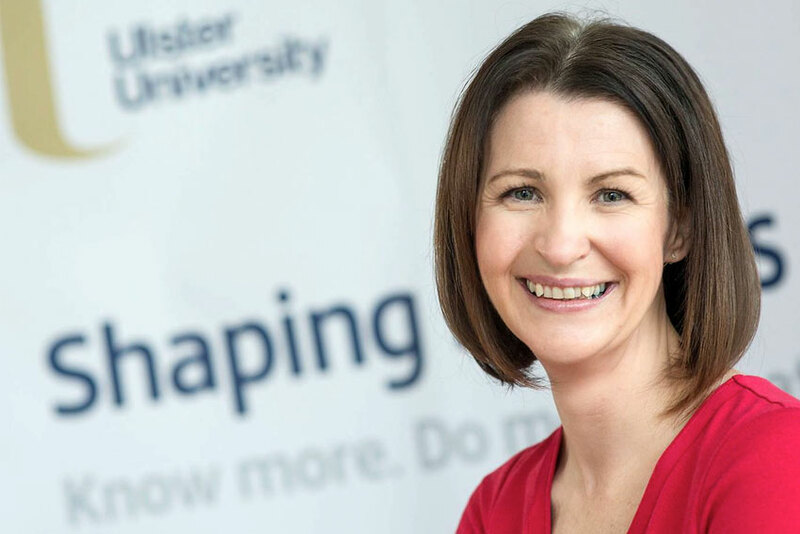 As a key member of the leadership team at Ulster University, Niamh leads the portfolios responsible for delivering the core professional services including Human Resources, Physical Resources, Finance, Information Services and Brand and Communications, ensuring that that the professional portfolios create the environment in which the University’s academic excellence and student experience is best delivered. Niamh joined Ulster University from Falmouth Exeter Plus (FX Plus) where as CEO and Director she was responsible for the provision of a wide-ranging portfolio of shared professional services to Falmouth University and the University of Exeter (Penryn Campus) across three campuses. Under Niamh’s leadership, the proactive engagement of professional services with academic staff and students drove improvements and innovation across services including library and academic skills, student services, IT, estates, building development and campus services. At FX Plus and in her previous role as Director of Finance and Resources at Falmouth University, Niamh played a central role in the partnership between Falmouth and Exeter University, from its inception, through a decade of growth, and the £260m development of the joint Penryn Campus. Born and educated in Dublin, Niamh graduated from University College Dublin with an Honours Degree in Engineering. After graduating she spent two years employed by Queen’s University on a research studentship, undertaking industry sponsored applied research projects. She qualified as a Chartered Management Accountant in industry where she worked prior to moving to the HE sector in Cornwall. Niamh is a Fellow of the Chartered Institute of Management Accountants. Niamh is a non-Executive Director of Wave Hub Limited, the world’s largest grid-connected offshore wave energy testing facility located off the Cornish coast. She was also a member of HEFCE’s strategic advisory committee on Leadership, Governance and Management for four years until 2011. Niamh has a keen interest in the arts and is a Trustee of Cornwall’s primary theatre and a fellow of the Royal Society of Arts. Eamon joined Ulster University as Head of Governance and Legal Services in 2004, immediately undertaking a review of its governance, risk management and strategic planning processes as well as reviewing the structures of the senior team. He coordinated a review and rewrite of the University’s governing statutes and has been a member of a number of sector-wide working groups on the governance of Universities. He became University Secretary in 2012 and is a member of the Association of Heads of University Administration and an occasional contributor to the Journal for In-House Council. 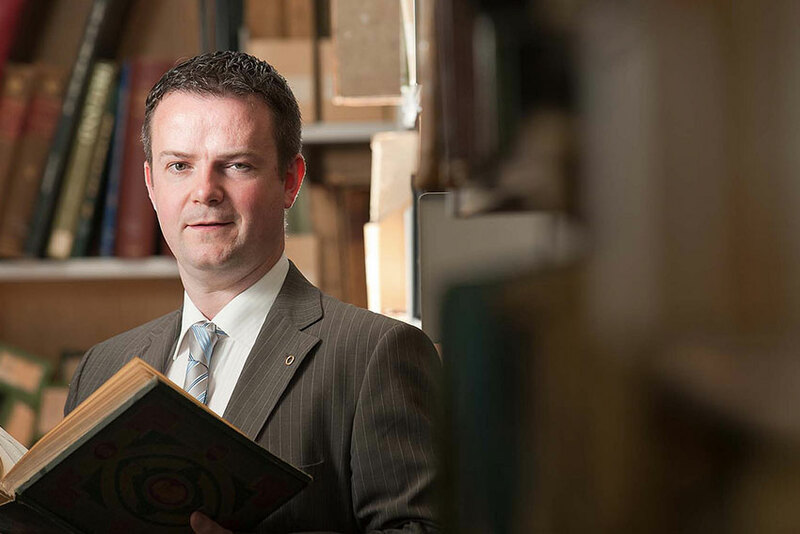 Eamon is a graduate in business studies and has postgraduate qualifications in both rural development and literature. His career has spanned the public, private and higher education sectors. He spent a number of years at HM Treasury, where he co-ordinated a review of the Civil Service Pay and Conditions of Service Code. 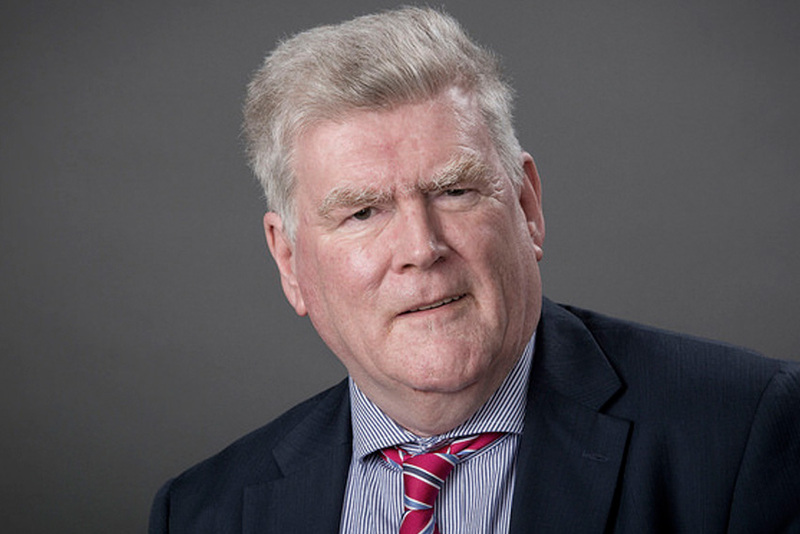 During his tenure with the Northern Ireland Court Service, Eamon played a leading role in the establishment of the Northern Ireland Legal Services Commission in 2003, including drafting enabling legislation. Eamon has a keen interest in politics and was an elected representative on Coleraine Borough Council from 1997 to 2005 and Deputy Mayor in 2004/5. During this time, he chaired Coleraine District Partnership, co- chaired an economic development forum for the seven Council areas in the North East Northern Ireland and was a founding member of the local District Policing Partnership. He was also a founding member of the Northern Ireland Local Government Association. The Executive Deans provide academic leadership that promotes a culture of excellence and innovation. They lead business performance, sustainability and budgetary management of the Faculty, including strategies for income diversification. As part of the Deputy Vice-Chancellor’s portfolio and members of the University’s Senior Leadership team they contribute to the overall strategic management, development and promotion of Ulster University. Paul has responsibility for the Faculty of Arts, Humanities and Social Sciences and leads the direction on some of the most impactful research and innovative teaching in the University. Liam leads the Faculty of Computing, Engineering and the Built Environment where our exciting and economically relevant disciplines combine with considerable teaching and research strengths to present great opportunities across a diverse range of highly sought-after skills and expertise. Carol leads research and teaching in her role as head of the faculty of Life and Health Sciences. Carol develops opportunities for interdisciplinary collaboration, professional practice and partnerships. Marks leads the Ulster University Business School, a top ten business school in the UK in terms of reach and research impact. The School is firmly focused on opportunity creation and provides an entrepreneurial approach in its teaching and research delivery. Professor Paul Seawright is the Executive Dean of the Faculty of Arts, Humanities and Social Sciences. Paul has been Head of Belfast School of Art since 2012 and was formerly Dean of Art, Media and Design at the University of Wales, Newport. He held the position of Director of research at Newport and is widely recognised as a subject expert in Art & Design research, participating on panels in RAE 08 and REF14. As a former member of the HEFCE expert advisory group on the development of the REF, he has advised numerous universities worldwide on research strategy. 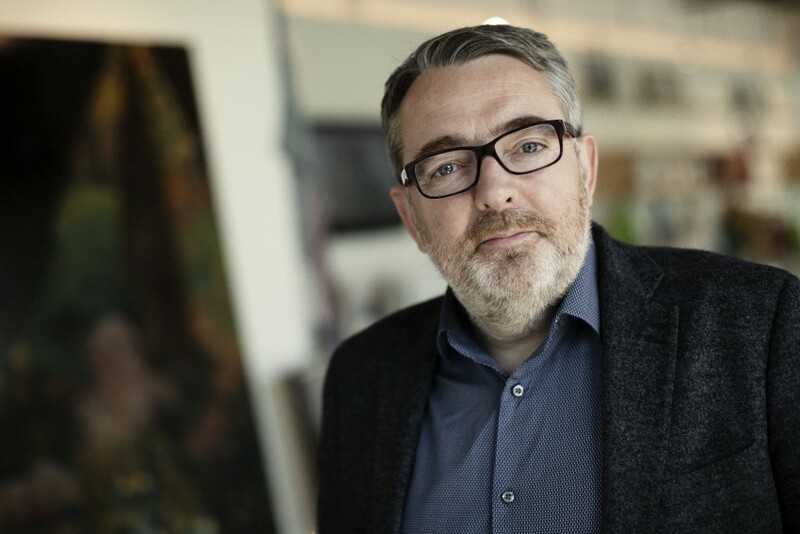 He currently sits on the advisory boards of the Imperial War Museum and British Council in London, having previously served as a Board member of the Arts Council of Northern Ireland. Paul has an international profile as an artist and researcher. His work is held in many museum collections including the Irish Museum of Modern Art, the Tate, San Francisco Museum of Modern Art, International Centre of Photography New York, Arts Councils of Ireland, England and Northern Ireland, the UK Government Collection and the Museum of Contemporary Art in Rome. In 2002 he was commissioned by the Imperial War Museum London as War Artist for Afghanistan and was awarded the Irish Museum of Modern Art/Glen Dimplex award for a major contribution to Irish Art. Paul has a first class honours degree in Photography, Film and Television and was awarded a PhD by the University of Wales in 2007. He is a Fellow of the RSA and the RPS, Honorary fellow of Cardiff Metropolitan University and former Vice President of the Royal Ulster Academy of Art. He currently holds Visiting Professorships at Sheffield Hallam, University of South Wales and the University of Porto. Professor Liam Maguire is the Executive Dean of the Faculty of Computing, Engineering and the Built Environment. Originally from County Fermanagh, Liam obtained MEng and PhD degrees in Electrical and Electronic Engineering from Queen’s University, Belfast. He joined Ulster University as a lecturer in 1994 and held Senior Lecturer and Reader positions before becoming a Professor of Computational Intelligence in 2007. 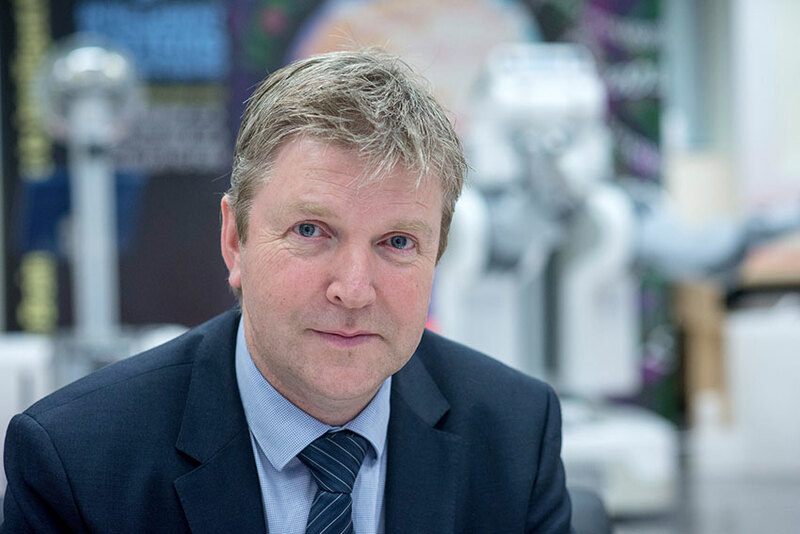 Prior to being appointed Dean of the Faculty of Computing and Engineering in September 2014, Liam held several senior positions including Head of School and Director of the Intelligent Systems Research Centre. His research interests focus on data analytics and machine learning with particular focus on bio-inspired approaches. Author of over 250 research papers, Liam has secured extensive research funding and supervised 18 PhD and three MPhil students to completion. In addition to editing special issues of journals and organising conferences, Liam regularly delivers keynote talks at international conferences. His research enables him to collaborate with staff from every faculty in the University either through funded projects or joint research staff/student supervision. Liam is a Fellow of the Institution of Engineering and Technology and a chartered engineer with an extensive network of colleagues in the digital and engineering sectors in Northern Ireland. Most recently he has been appointed to the NI Digital Catapult Advisory Board. His research and teaching links extend across China, Japan, the USA and throughout Europe. Professor Carol Curran is the Executive Dean of the Faculty of Life and Health Sciences. Carol has worked at Ulster University since 1996 and has held a number of posts including Head of the School of Nursing, Chief Executive Officer of Ulster University Health Limited and since 2011, had been Dean of the Faculty of Life and Health Sciences. Carol is widely recognised as a nurse leader, regularly delivering key-note addresses at prestigious conferences worldwide. She has been a visiting scholar at Kent State University, Ohio and is currently visiting professor at Qiqihar Medical University China. Carol currently holds a Ministerial appointment as Chair of the Northern Ireland Practice and Education Council for Nurses and Midwives and is an elected member of the Executive of the UK Council of Deans of Health. In 2014 Carol was recognised in the Queen’s Honours, receiving an OBE for services to Education and Nursing in Northern Ireland. Carol is a registered nurse and holds specialist qualifications in District Nursing and Education. She has a BSc, MSc and PhD all from Ulster University, along with a Diploma in Nursing from the University of London. 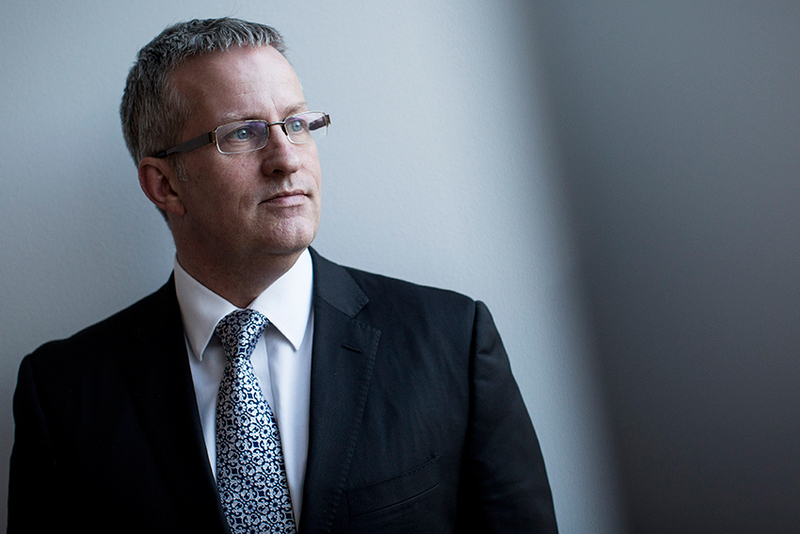 Professor Mark Durkin is the Executive Dean of Ulster University Business School. Prior to joining Ulster University in 1996, Mark spent over a decade in various service, sales and strategic marketing roles within Bank of Ireland Group. Having joined the Bank at 18 he completed all his studies on a part-time basis including a Masters in Marketing from Ulster University (1993) and his PhD from Loughborough Business School (2005). Mark’s teaching and research focus is at the marketing/technology interface and he is interested in the adoption of alternative finance by SMEs and emerging digital competency sets for managers in larger businesses. Through his career he has been actively involved in many KTP and Innovation Voucher schemes. He was awarded the Chartered Institute of Marketing’s ‘Marketing Person of the Year’ in recognition of his contribution to marketing education in Ireland in 2006 and is an invited member of the CMO (Europe). Mark was a Head of School within Ulster University Business School from 2002-2007 and established and directed the University’s student marketing division from 2007-2010. Mark is a Fellow of the Chartered Institute of Marketing, a Fellow of the Institute of Banking and is a Senior Fellow of the UK’s Higher Education Academy. He has published over 50 peer reviewed academic papers and is an invited scholar to Babson College in Boston and a visiting professor to Philadelphia University. He is also part of the ‘World Famous Scientist and Scholars Visit Hubei Programme’ in China. The University’s three Provosts are ambassadors for their campus and lead in the delivering civic leadership and engagement with the communities in which the University is based. Reflecting the unique identity of each campus, the Provosts ensure that local, regional, national and international engagement continues to make a meaningful and ongoing contribution to the wellbeing and economic prosperity of the campus, its local community and more broadly the University and Northern Ireland. As Provost of the Jordanstown and Belfast campuses Raffaella plays a key role in the development of the enhanced Belfast city campus and leads the links to local communities by promoting the vision of third level education as key to social development. 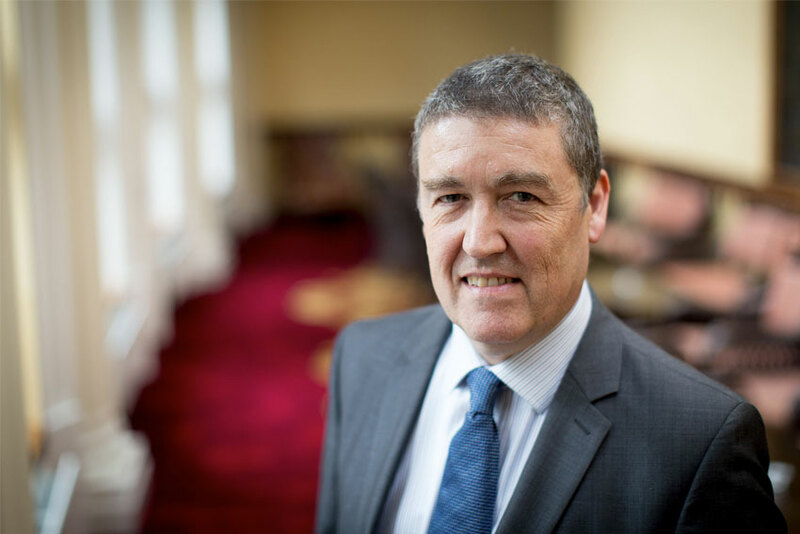 Malachy is the Provost of Magee campus and has the responsibility of working with staff, students and the community to achieve Magee's full potential as the University of and for the city and region. In the role of Provost for Coleraine, Karise works with stakeholder organisations, staff and students to engage the local community and co-create a unique identity for the Coleraine campus that makes a meaningful impact towards the wellbeing and economic prosperity of the Causeway Coast region. 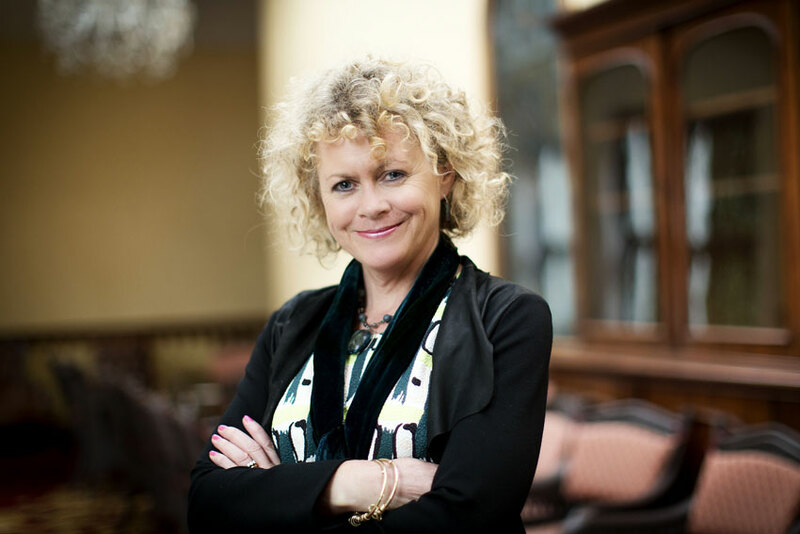 Karise is also a Professor of Leadership within Ulster University Business School. Professor Raffaella Folli studied Philosophy at the University of Milan. In 1998 she completed an MPhil in Linguistics at the University of Oxford and in 2001 a DPhil in Linguistics, also at the University of Oxford. She joined Ulster University in 2005 having previously held research positions at the University of Arizona and then the University of Cambridge. Her main research area is theoretical syntax. Her standing in linguistics is evidenced by her extensive publications in top journals in the field, various grants from different research councils and extensive collaborations with academics in the UK and the US. In 2011 she was awarded a Distinguished Research Fellowship award in recognition of her research achievements. 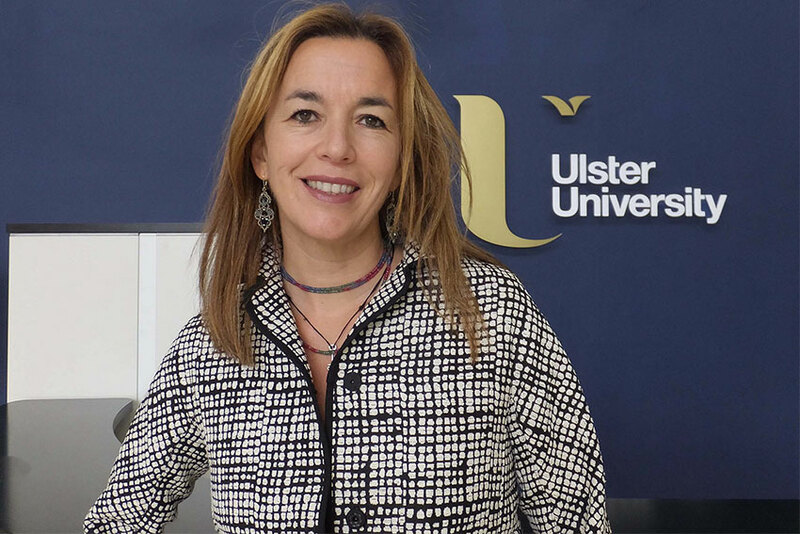 Raffaella is part of the linguistics team that in 2012 established the Ulster Centre on Multilingualism (UCoM), an information service for people raising or working with children growing up with more than one language. Dr Malachy Ó Néill completed his BA and PhD at Ulster University and was Head of Irish in St Mary’s Grammar School, Magherafelt before returning to the University in 2008 as Lecturer in Modern Irish. He was appointed as the inaugural Head of School of Irish Language and Literature in 2012 and has led the subject in achieving consecutive 100% overall satisfaction in NSS. He has also played a key role across the University in developing employability as a key component of the student experience at Ulster and was awarded the Students’ Union prize for excellence in Employability and Placement Support in 2016. He was appointed to the Irish Government's Review Board of the Irish Language Standard (revision published in 2016) and is a current member of the Irish Language and Culture Committee (Royal Irish Academy) and Fóram Forbartha Teanga (the Language Development Forum of Foras na Gaeilge). His research focuses on Irish language sources of the Ó Néill dynasty, pedagogical development in modern Irish, Irish language theatre. Dr Ó Néill was a member of the Review Board of the Official Irish Language Standard (2016). Malachy has an excellent track record in community engagement, leading a number of widening access programmes including 'Gaeilge sa Chlub / Irish in the Club’ (with Ulster GAA) and ‘Irish for All’ (with East Belfast Mission). He played a pivotal role in establishing an Irish Studies Summer School for international students at Magee campus (since 2013), developing the provision to incorporate International Business and Engineering in recent years. A former editor of the An tUltach journal (2008-10), Malachy was founding chairperson of Gaelscoil Eoghain, Cookstown. He enjoys close ties with the Donegal Gaeltacht, spending many years in Machaire Rabhartaigh and Gaoth Dobhair facilitating courses for teenagers and adult learners of Irish. Malachy resides in his native parish of Ardboe, Co. Tyrone, with his wife Ursula and two sons, Proinsias and Tomás. Professor Karise Hutchinson is a Professor of Leadership at Ulster University and Provost of the Coleraine campus. Karise joined Ulster University in 2004 and was awarded a PhD in SME international management in 2006. Since 2006, she has been an integral member of the Business Management Research Institute at Ulster University, included in the 2008 RAE and REF 2014 submission as a result of her high quality research publications, external research grant income, PhD completions, and impact case study work. Her research has been presented at international conferences and published in wide range of high quality international journals. The extensive impact of her research has been recognised by the British Academy of Management Education Practice award in 2016 and the Chartered Management Institute’s Top Industry Article award in 2013. Karise is a Chartered Fellow of the Chartered Management Institute and holds a number of positions outside the University including, Affiliate of the Authentic Leadership Institute in Harvard, USA, Vice-Chair of the Causeway Enterprise Agency, Council member of the British Academy of Management and Faculty Board member of the Chartered Management Institute UK. Her experience includes business engagement across a range of industry sectors, where she has led several Knowledge Transfer Projects, organised a wide range of large scale events for business owners and policy stakeholders, as well as invited keynote speaker. As a result of her strong engagement with industry, Karise has been involved in national media broadcasts on well-known radio and television programs, commenting on current economic issues in Northern Ireland from the perspective of the consumer and retailer, with publications in range of regional and national newspapers. She is the author of “Leadership Development for Small Business: The Power of Storytelling” published by Palgrave Macmillan. She received the British Academy of Management Practice award in 2016 and Outstanding Contribution to CMI award in 2018 in recognition of her work in leadership development and education. Professor Hutchinson uses her passion and experience of developing business leaders to support the growth of the SME sector in Northern Ireland.